TampaiDoctors Apple & Mac Experts. Tampa iDoctors.com can repair, upgrade, refurbish or repair any Mac or Apple Device. Tampa iDoctors South Tampa iphone Repair store can repair all makes and models of all Cell phone repair including iphone repair, iphone screen repair, iphone screen replacement, fix iphone screen repair, & All apple repair. Tampa iDoctors repair all makes and models of Mac & Apple Laptops including Macbook Repair, Macbook pro repair, Macbook air repair. Tampa iDoctors South Tampa iphone Repair Store repairs all makes & models of all brand of Cell phone, Tablet & mobile device. including cracked screen repair. Tampa iDoctors can repair the screen of any device including Mac or Apple laptops, iPhones, iPad, iPod, including devices from any and all manufacturers. Tampa iDoctors offer mac or apple screen replacement, whether you need iphone repair, macbook repair, ipad repair, Tampa idoctors can repair or replace any cracked screen. Tampa iDoctors offer virtual or remote Mac tech support or virtual or remote Apple tech support or virtual or remote mac repair or virtual or remote apple repair, including remote or virtual support for iphone repair or macbook repair. if your device can get online we can connect & provide apple or mac tech support. Tampa iDoctors offer Mac repair or Apple repair. No matter what Apple Device you need repaired or what Mac device you need repaired Tampa iDoctors can offer the best Apple Repair or Mac Repair in Tampa. 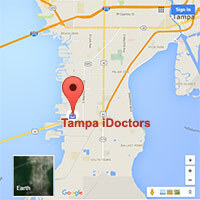 Tampa iDoctors offer Mac upgrades or Apple upgrades. 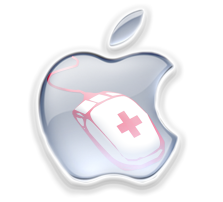 No matter your device if it is able to be upgraded then Tampa iDoctors are the Mac upgrade or Apple upgrade specialists. Tampa iDoctors offer Mac Training or Apple training. No matter your skill level Tampa iDoctors can offer you personalized Mac or Apple Device or Mac or Apple Computer Training.